There are currently 84,902 users on this website. 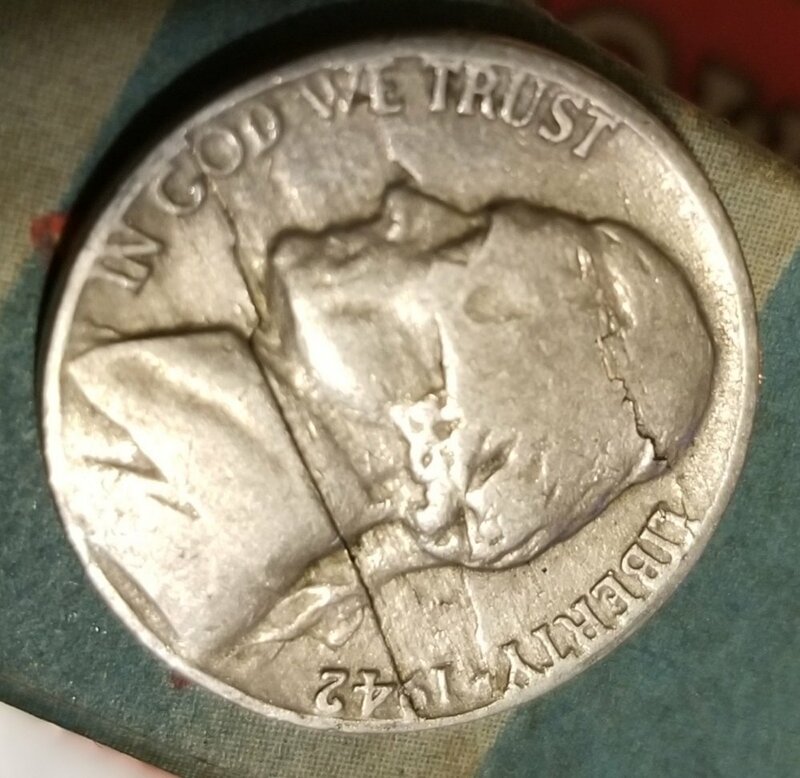 1942 War Nickle Die Crack? Hey guys I came across this nickle. Looks like some serious die cracks going on. I'm not very knowledgeable when it comes to coins. Is this a good find that's valuable? It's a Delamination error. There were impurities that caused the metal on the surfaces to peel. Much better than a die crack! Does the reverse have a large mint mark above the dome or a no mint mark to the right of the building on the reverse? Thanks guys. So I found something good? Is it worth grading? Thanks. It is a type one nickel (not silver) Not a war nickel. It's not worth grading, since it would exceed the actual value of the coin. It's still worth a premium though. Make sure to put it in a 2x2 coin flip for protection. Is that good or bad? The silver lamination errors are more common right? If it were in BU condition it might be worth a little. But in this condition, only a lamination collector would be interested. It's very expensive to get a coin graded by a TPG unfortunately. It's not worth doing it, unless if the coin is worth 80 dollars or more. The War Nickels Lamination errors are more common, but will still command a good premium, if it's large like yours. Nice find! I love lams, but they generally don't garner any high prices unless they are extreme examples (this is not). The fact that this is on a CuNi coin and not silver alloy really does not affect value in its condition. 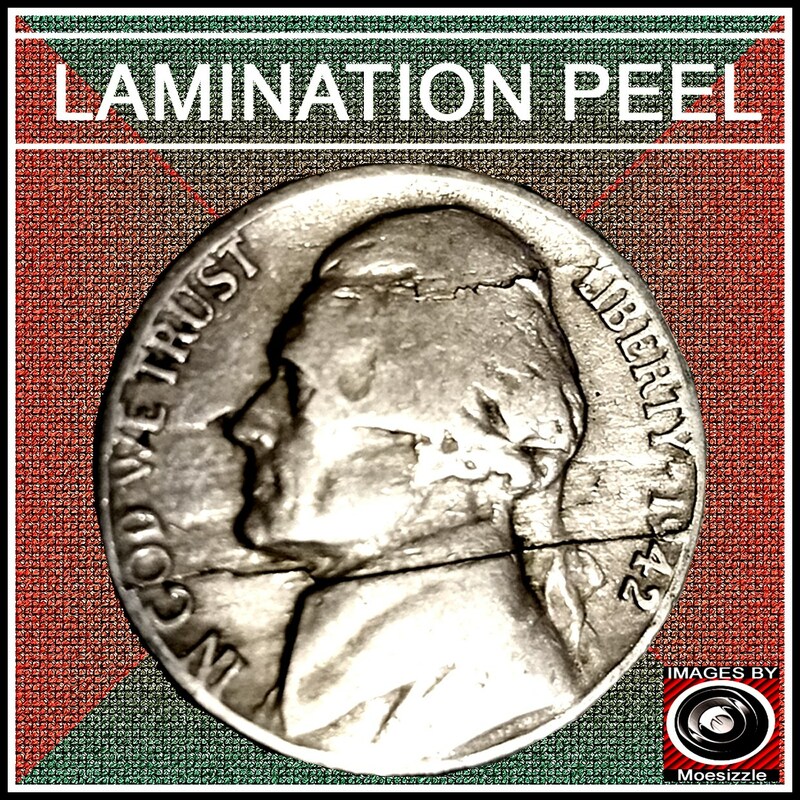 The main lamination flaw, which was shallow, has already peeled off of the coin and there is another rift that has begun to the north. It has nice eye appeal on the obverse, but the overall condition keeps it to a $2-$5 coin, in my opinion. Still, that's pretty good for a 5-cent coin! P.S. It's not worth getting graded. "Just because you're paranoid don't mean they're not after you." Nice lam. 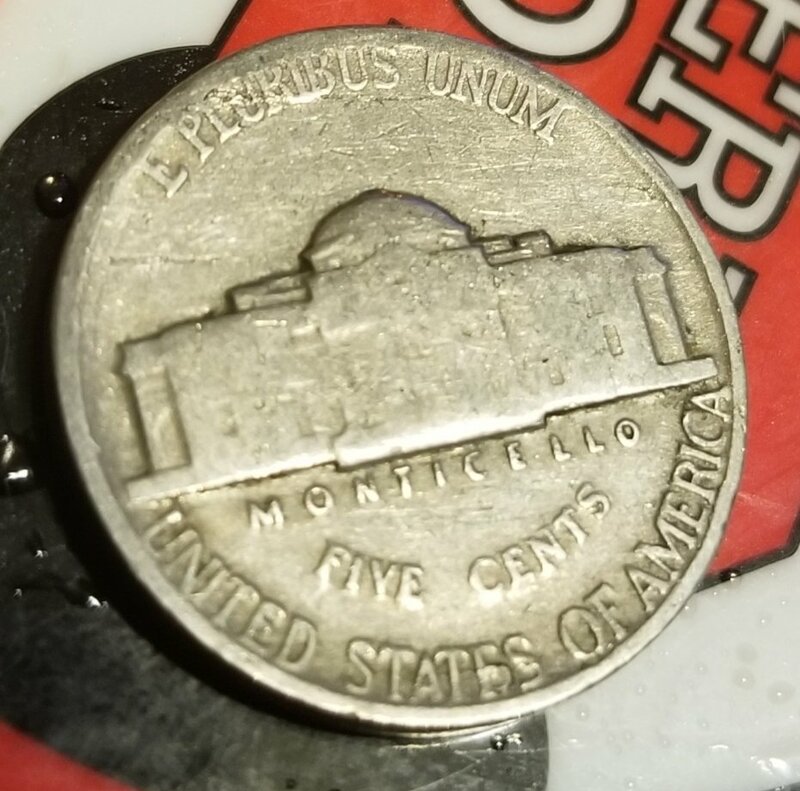 The 42 non silver lams are a bit nicer than the silvers and less common...IMHO. It's not worth doing it, unless if the coin is worth 80 dollars or more. IMO....the minimum a coin should be worth to be graded is $100 - $150 or more. Describe it as if there were no picture. Picture it as if there were no description. It took 1 seconds to rattle this change.